Thomas Edward Lawrence – known as Ned to his family – was born in the early hours of August 16 1888 in Tremadog, North Wales. He was the second son born to Thomas and Sarah Lawrence, as his parents were known, following the birth of Montague Robert (Bob) in Dublin on December 27 1885. During the boys’ early years, the family continued their peripatetic existence, rarely staying as long as two years in any place; so that it was not until Ned was eight years old that he had what in any sense might be called a normal family home, when the Lawrences settled in Oxford. By this time, two more boys had joined the family, while another would be born in 1900. 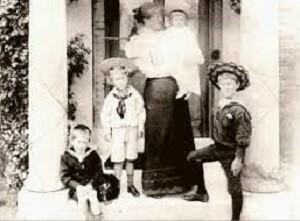 By all accounts, the boys enjoyed a happy family life, though perhaps marked by a sense of social isolation. Presumably there were few family stories or photographs, and no relations coming to visit. How long can it have been before Ned began to surmise some of the truth about his upbringing: that his father had left behind a wife and four daughters in Ireland, to live out of wedlock with his mother? Today, it is difficult for us to understand the social implications this would have had at the time. 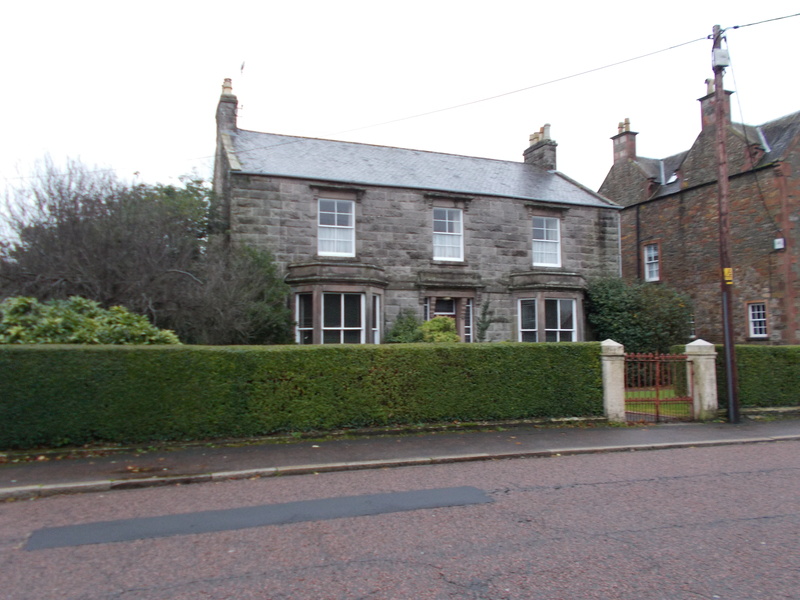 Looking at some of the houses where the Lawrences lived during these early years, one thing that immediately strikes the observer is the sense of prosperity that they exude. These were the residences of a Victorian family with a comfortable income. Lawrence’s birthplace in Tremadog, North Wales, is now known as Snowdon Lodge. Then it was called Gorffwysfa: Welsh for ‘resting place’. Tremadog was only a mile from Porthmadog, the landing place for the ferry from Ireland, so perhaps the Lawrences rented the first house they could find when they arrived from across the Irish Sea. Years later, Ned’s birthplace would qualify him for a Welsh scholarship at Jesus College, Oxford. But when he was just over a year old, the family were on the move again, to Scotland. Today a Grade II listed building, Snowdon Lodge has been converted into a hostel for holiday groups. 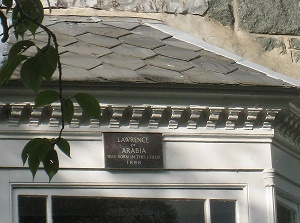 A small plaque outside the house marks it as the birthplace of Lawrence of Arabia. 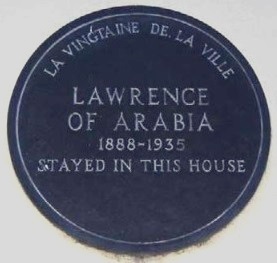 in Damascus – has been commissioned to produce a bronze sculpture of Lawrence to publically recognise his place of birth. One of the lesser-known Lawrence sites is Craigville, the family home in Kirkcudbright, Dumfries and Galloway, SW Scotland. The Lawrence family moved here from Wales in 1889 and stayed until 1891 when they then moved to France. At the time of the Lawrence family’s arrival in Kirkcudbright, Ned was thirteen months old. His brother, William George, the third son, was born here in December 1889. 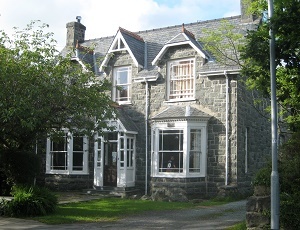 Craigville is a large, detached house and bears some similarities to the better-known Snowdon Lodge in Tremadoc, Wales, which may have been an attraction to Mr and Mrs Lawrence. The property, now 89 St. Mary Street, is so rarely visited that no reference photograph appeared on a recent internet search. There is no commemorative plaque on the building, either. 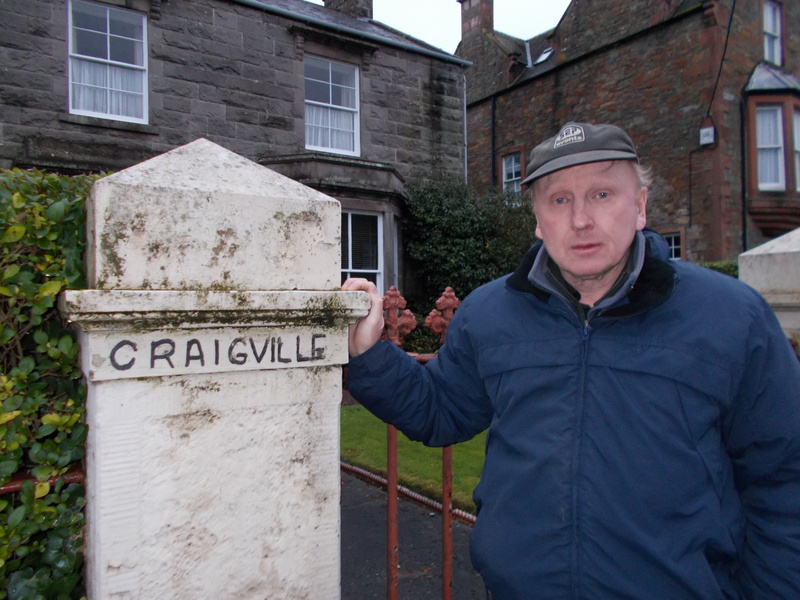 The easiest way to locate Craigville is to enter Kirkcudbright from the north by either the A711 or A762 from the A75; the house is on the left just 50 yards past the Rogerson’s filing station. Between the time Ned was three and six, he lived with his family in Dinard, a fashionable resort on the coast of Brittany, facing St-Malo across the Rance estuary. Dinard had a thriving English community and the language was well understood locally. Their home was the Chalet du Vallon in Rue Barbine. For the first time, one gets a sense of the Lawrences becoming a part of the small community in which they lived. Here, the two elder boys received some of their earliest lessons from an English governess, and attended French classes at the nearby Ecole Sainte-Marie. Twice a week, Ned took the ferry across to St-Malo to attend gymnastics lessons. 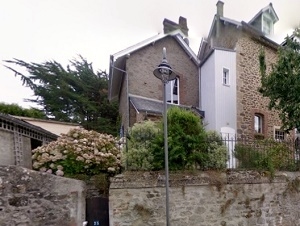 Friendships made with some of the French families, especially their landlords, the Chaignons, were kept up in later years; and as a young man, Ned visited Dinard during his cycling tours of 1906, 1907 and 1908, sometimes staying with the Chaignons. fourth son. Frank Helier was born at Bramerton House, Havre des Pas, on February 7 1893. 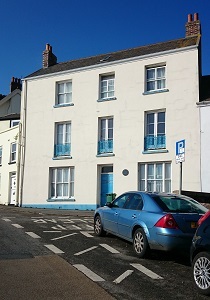 Some sources suggest that the four-year-old Ned did not accompany his parents to Jersey, though a plaque on the front of Bramerton House records that he stayed here. The following month, the Lawrences returned to Dinard. Langley Lodge, an isolated house on the edge of the New Forest in Hampshire. Here they stayed for the next three summers. Oxford. She did not take him seriously; it was his brother Will that she was interested in. It was not to be. Will would be killed in the war in 1915. In the autumn of 1896, with Bob now ten and Ned eight, the question arose as to the boys’ schooling. Once again, the family prepared to move, but this time it would be to put down roots in the historic city that would so inspire Lawrence’s future interests and put him on his path in life: Oxford. In September 1896 the Lawrence family moved into 2 Polstead Road, a substantial red-brick Victorian villa in the north of Oxford. The boys were enrolled in the fee-paying City of Oxford High School; and on May 2 1900, a fifth brother Arnold Walter (Arnie) was born. 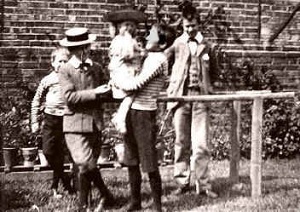 2 Polstead Road would remain the Lawrences’ home for twenty-five years; when Sarah Lawrence sold it in the early 1920s, the family had disbursed: her husband dead from pneumonia, Will and Frank killed in the war, Bob becoming a medical missionary in China and Arnie starting his career as an archaeologist. 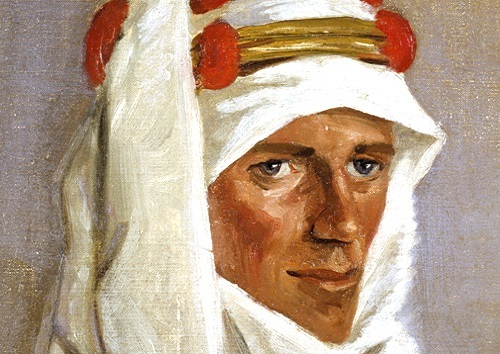 Her second son, Ned, had just been introduced to the world as the ‘Uncrowned King of Arabia’.